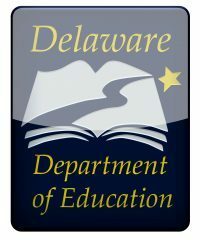 UPDATE: The Delaware Department of Education announced on Thursday that it will not be moving forward to finalize the current proposed version of Regulation 225. The department received more than 6,000 comments in response to the revised proposed 225 Prohibition of Discrimination Regulation, which was published in the June Register of Regulations. Those comments now are available online for public review here. The Delaware Department of Education is seeking public comment on a revised proposed 225 Prohibition of Discrimination Regulation, which will be published in the June Register of Regulations today. Substitutes the state’s suggested model policy for a guidance document to assist districts and charters in creating local policies. Because the revised proposed regulation reflects substantive changes from the previous version published, the regulation has been published in the Register again with another month-long public comment period before any decision on a final regulation is made. Secretary Bunting thanks those who shared their feedback during the first formal comment period and encourages the public to again share comments by July 6. All comments received will be posted online after the public comment period ends. To be considered as part of the public record, comments must either be submitted via email to DOEregulations.comment@doe.k12.de.us or via mail to the attention of Tina Shockley, Department of Education, 401 Federal St., Suite 2, Dover, Delaware 19901. Comment submitted to other email addresses will not be accepted. Comments must be received by July 6. Media Contact: Alison May, alison.may@doe.k12.de.us, 302-735-4006.